Teaching children to love the earth is a job more and more parents are taking seriously. It can also be an enjoyable way to spend time with your family, whether you plant a garden together, take hikes in a nearby wilderness area or clean up your local park. Talking about excess packaging and the ABCs of recycling can be paths to greener living, too. 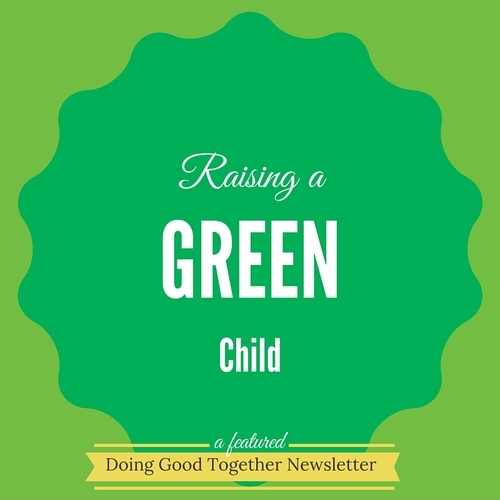 In honor of Earth Day's 45th anniversary (April 22, 2015), we provide some easy tips for raising an eco-smart child. Surprisingly, one of the surest ways to instill eco-consciousness in children is to foster a love of nature. You don't have to travel to the Amazon rainforests to do it, either. Find a hiking path (woods or prairie), go for a canoe ride, have a picnic. See what's living under a rotten log, sweep a net through the edge of a pond, count birds. Invite your kids to use all of their senses to notice and appreciate the earth and its creatures. Take along a magnifying glass, binoculars or camera. Keep a nature journal to record your family's observations. Involve your children in your everyday environmental practices. Let them help you sort cans for recycling or take the waste outside to compost. When you shop together, take reusable shopping bags. Talk about your buying choices and what impact they might have. As often as possible, buy used clothing and toys. Grow a garden together, even if it's only on your windowsill. Consider making an "eco-plan" with your child, listing small changes your family can make to live in harmony with the earth, such as buying locally grown food and using energy-efficient lighting. Be volunteers, donors and activists. Although the world feels large, each member of your family can play a role in healing the planet. It can be as simple as picking up litter when you visit your local park or choosing to leave a dead tree standing so birds have a place to nest. To keep educated and contribute to a sustainable future, join an environmental organization, like World Wildlife Fund or Rainforest Alliance. (Be sure to visit the Kids' Corner of the Rainforest Alliance website.) To find specific local volunteer opportunities for you and your children for Earth Day or any day, check out the Anywhere, USA page of our website. Educate yourself and your children about environmental trends (global warming, endangered or threatened species, pollution). Skip the "gloom and doom" scenarios, but do provide age-appropriate explanations of important issues. To get started, find out about your own personal environmental impact at the Earth Day Footprint Calculator; watch nature specials together on TV; and visit environmental education websites for kids, such as EekoWorld. Also, check out classes at your local zoo, science museum and nature center. Explain that simple decisions can have an impact, like coloring on both sides ofthe page, turning off the water when you brush your teeth or turning out lights when you leave a room. 365 Ways to Live Green for Kids: Saving the Environment at Home, School, or at Play -- Every Day! by Sheri Amsel.